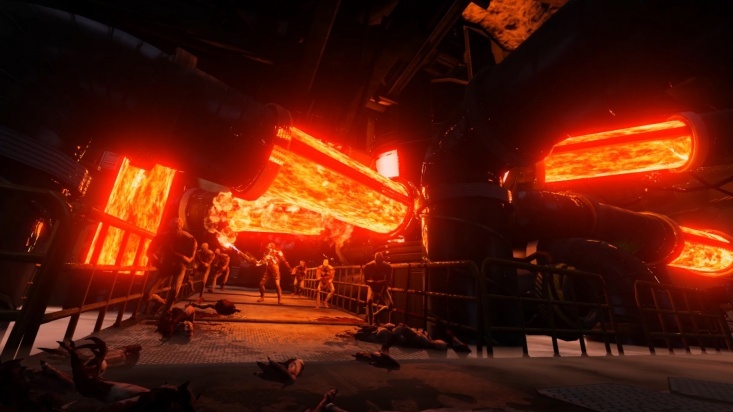 Powercore is a Killing Floor 2 map. It was added in the game as a part of Infinite Onslaught content pack. 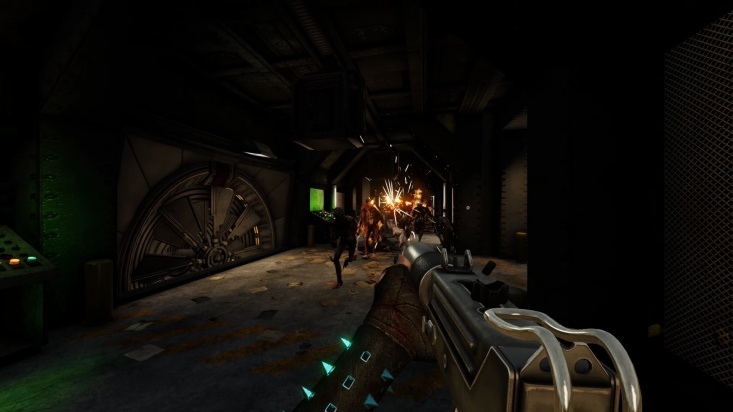 It is the third official map for "Holdout" sub-mode that puts players into the close quarters environment and forces them to stand the ground without escape routes. 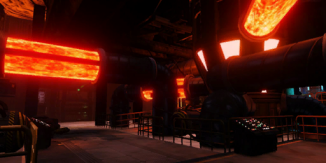 "Powercore is a Holdout map within an abandoned Horzine manufacturing facility. Does Horzine abandoning anything ever go well?" The map contains total of 11 floors where the first and the last ones are always fixed while all the other are chosen randomly, once per game. 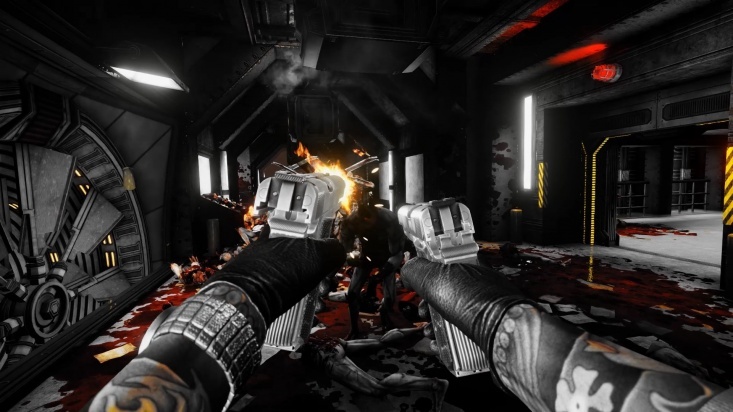 Once the wave completed the doors that block elevator are opened and players can proceed to the next, randomly choosen, sub-level. On every floor there is at least one trap that can be activated by players. All traps on the map do 30 points of damage (to ZEDs only) and at same time 5 points of damage to both - players and ZEDs within 0.2 second intervals. 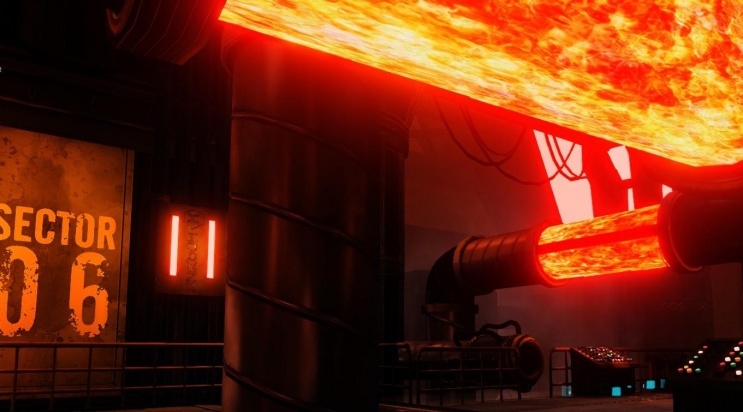 Traps vary by the damage type - slashing, bludgeoning, fire, microwave, EMP and toxic. Every trap lasts for 6 seconds and can be reactivated after 8 seconds when it ends. Each sub-level contains 3 collectables, one weapon spawn point, trader pod and a couple of ammo boxes (respawn time - 45 seconds). This page was last edited on 4 November 2018, at 13:41.